Is it just me, or did this summer FLY by??? 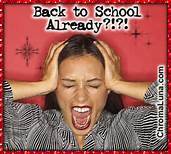 Hard to believe some school districts are back in session JULY 31st!!! I hope you all enjoyed your break and wishing you the best with this upcoming school year. And just like this weather, the Atlanta Real Estate Market is HOT, HOT, HOT. Now that the kids are back in school, contact me TODAY to see how I can help make your real estate dreams a reality. Bought a home in 2015 in Holbrook, GA 30004. Bought and sold a Single Family home in 2016 for approximately $175K in Woodstock, GA.
Sold a Single Family home in 2016 for approximately $250K in Roswell, GA. Contact me TODAY to find out how I can use my Realtor© expertise to help you with your real estate needs.